Cancel Order with your order number in the subject line, and an explanation of the items you wish to be cancelled. *All Exchanges must be made within 14 days from the ship date. *If you ordered an item and are unhappy with the size, you can exchange it for another size provided the item is in it’s original, unaltered, unworn, and unwashed condition. You are responsible for ALL shipping costs, which includes re-shipping the new item(s) to you. *If you received the wrong item or the item was defective/damaged your will incur no additional shipping charges. We will refund your credit card for the shipping cost to ship the item(s) back to us, once we receive the item(s) for exchange. Please include a completed Exchange Form with return item(s). Most orders ship within 3-5 business days from date of order. US shipping only. We ship UPS, USPS, and FedEx. All products ship within the United States Only. Please contact us for Priority Mail Express. 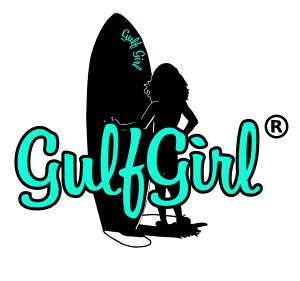 Gulf Girl is strongly committed to protecting the privacy of its website users and customers. information, and what options you have in sharing this information with us when you visit our site. order. If we have trouble processing an order, we will use this information to contact the customer. not be able to process an order through our shopping checkout area. use personally identifiable information for any secondary purposes.